Nadine now lives in the Hampshire countryside with her husband, two daughters, horses, alpacas and dog. Nadine moved from Wales to London to become a fashion model then turned her attentions to the other side of the camera and enjoyed a successful career as a Special Effects Producer working in high end television commercials and pop videos. One of her recent portraits was shortlisted for The Society of Portrait Sculptors “Face 2016” exhibition in London. 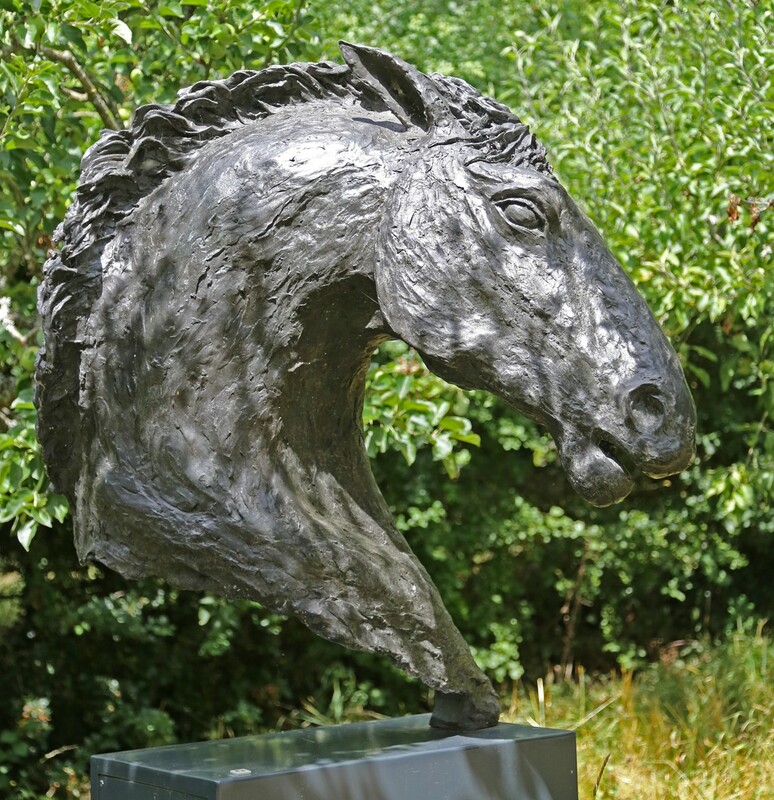 MEDIUMS USED IN WORK: She strives to use a multitude of materials in her work; ranging from paints and varnishes through to clay, metal and recycled materials, to capture the unity of both muscular strength and power with an inherent gentleness and fragility, in both 2D & 3D. She is keen to recycle materials and uses elements from the subject to create atmosphere and shape in her work. Distressing materials to create depth and texture also play a large part in her technique. The equine form fascinates Nadine and human portraiture is also of keen interest to her. 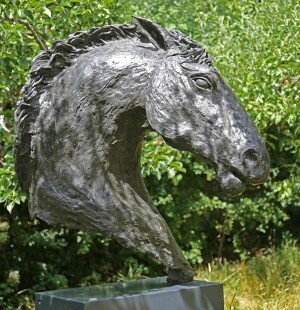 Her bronze “Horse Duet” sculptures have been shown at The Garden Gallery, Stockbridge, The London International Horse Show, Olympia and The Longines Royal International Horse Show, Hickstead & The Grange, Winchester Opera House.